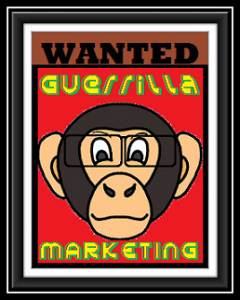 IceyHut Marketing Group was created to provide Out-of-Home,Experiential marketing options for companies and agencies searching for an alternative to legacy advertising such as Radio,TV and Newspaper. We integrate uniformed street teams on foot to compliment our concept ice cream trucks. IceyHut delivers the most eye-catching,innovative and cost effective advertising in the market today.Whether using our mobile media trucks or custom wrap ice cream trucks, we offer you the least expensive way to reach an average of 50,000 impressions a day! Our trucks can be outfitted to serve any item you wish. From ice cream, coffee,prepared foods to marketing related promotional items and materials.We have proven with our guerrilla marketing tactics that our in your face marketing approach mixed with family oriented and friendly staff marketing style truly works.If you are truly looking for an out of the box marketing experience with something fresh and new that will leave long lasting impressions give us a call. We stand ready to serve you! Bring your advertising to life! Mobile Billboard Ice Cream Trucks and Walking Billboards are a great way to get your message to any neighborhood or large gathering. 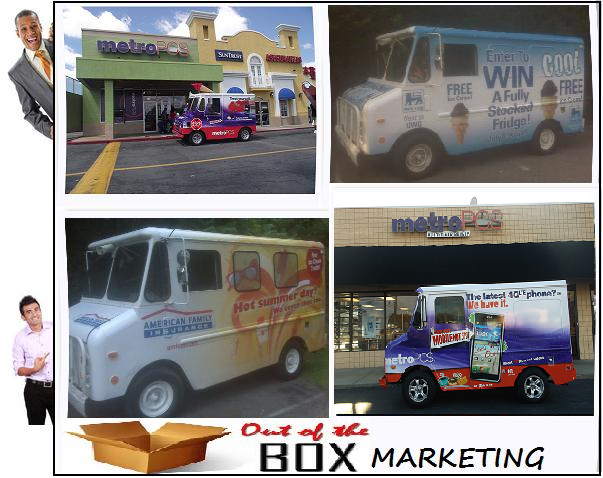 Full Customized Wraps of your brand name on our ice cream trucks or a mobile display of your ad on our walking billboard. The advertisement on our ice cream truck, scooter billboard trailers and walking billboards are a very cost effective way to advertise. Your message seen by thousands of people and you can monitor the success of your campaign with our GPS tracking system. You have total control of your marketing, routes and schedule. We can also provide a street team to pass out your material and explain your products and services! Contact our sales team for pricing and availability.